POM POMS! Aren’t they too cute? They really get me in the mood for anything festive: a festival, a carnaval, any summer-ish type of fun! Normally, when I thought of pompoms I would think of it as too much. Something from a costume, not something to wear in real life, on a daily basis. I would think of it as way too colorful and too happy for any kind of mood I would be in, even if I was actually happy. Pom moms were what you’d see on dancers, performers, entertainers. And mostly in Mexico or some country like that. Nowadays however I think of pom poms as a lovely adornment on any type of garment just to make it look a little bit more fun. 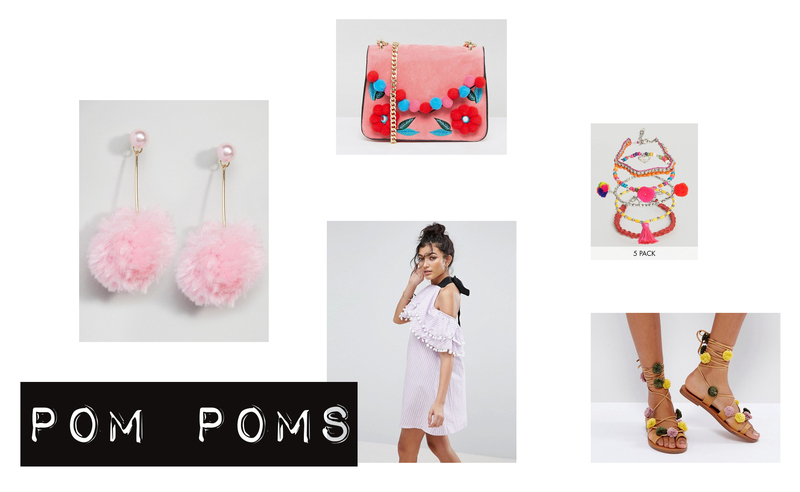 Pom poms make me happy and when they are not too much (and some how I don’t think that it’s too much anymore) I would actually love to wear it myself. These are all so cute! Love it!